The South Korean government issued dual-tranche $1 billion foreign exchange stabilization bonds at a favorable condition due to overwhelming demand. The Ministry of Strategy and Finance said Friday that it issued $500 million in 10-year notes and another $500 million in 30-year maturity, its first issue in such length since June 2014. The 10-year bond was priced at 3.572 percent, 60 basis points over the U.S. Treasury of the same maturity and 10 basis points below the government FX note of the same length. The coupon on the 30-year bond was set at 3.957 percent, 85 basis points over the matching U.S government bond. Oversubscription rate was the Korean FX debt’s best yet with bids exceeding offering by 5.7 times. 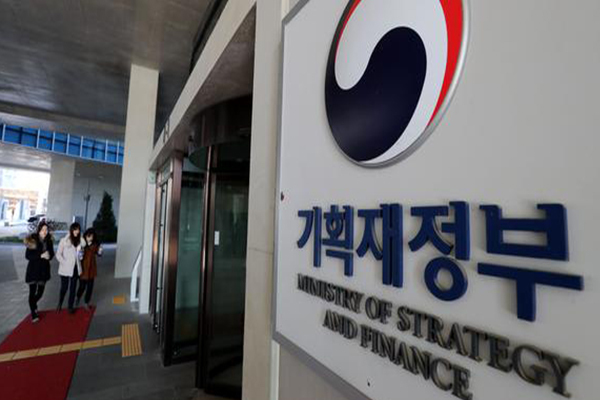 The ministry said its latest debt offering has reaffirmed foreign investors’ confidence in Korean economy despite the growing worries from U.S.’s tightening monetary policy and financial uncertainties in emerging markets. Asset managers purchased 60 percent of the Korean government’s new greenback-denominated debt, followed by central banks and sovereign wealth funds. Nearly half, or 49 percent, came from the United States, 39 percent from Asia and 12 percent from Europe. The FX bonds serve as a benchmark for private-sector Korean borrowing in foreign currencies.